New York John F. Kennedy Airport, known by many around the world simply as 'JFK', was the world's first large-scale international airport. The airport is especially unique due to the unprecedented airline involvement in the design and construction of its terminals. Every airline, both US and foreign, was given the opportunity of commissioning its own terminal or self-contained departure station. When 'Terminal City' was completed in the 1960s, it was considered state-of-the-art and a true expression of the country's individualism and can-do attitude. Some of its terminals were true architectural masterpieces. However, generally the terminals did not adjust well to ever-growing traffic flows and changing requirements (i.e. larger aircraft, hub-and-spoke operations, increased security, commercial requirements). Accordingly, in the late 1990s, a major rebuild of JFK commenced that is still ongoing and will last well into the 2020s. ​Opened as New York International Airport in 1948, it was commonly known as 'Idlewild Airport' before being renamed in 1963 as a tribute to John F. Kennedy, the 35th President of the United States, following his assassination. In the first of a multi-part article on the history of Kennedy Airport, we take you back in time and look at the early years of its development. ​As the aviation industry in America boomed in the 1920s, the City of New York realized that if it wanted to retain its status as one of the world's leading economic and financial centers, it would need a large and modern airport. Newark Airport served as New York's de facto commercial airport throughout the 1930s. 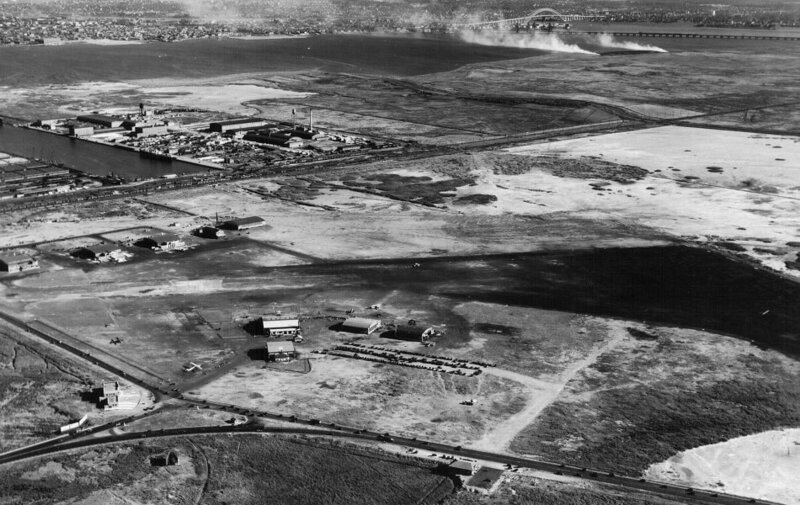 On May 23rd, 1931, Floyd Bennett Field, located on the remote south shore of Brooklyn and built with the most modern and efficient airport amenities, opened for business. However, the lack of a proper highway connecting the airport to Manhattan meant that it was very inconveniently located. Soon the city's leaders realized the project had been a mistake. ​Instead, airlines chose to operate from Newark Airport in New Jersey, which was much more accessible due to a new highway connecting it to the city. Consequently, Newark Airport served as New York's de facto commercial airport throughout the 1930s. Soon after the opening of Municipal Airport, it became apparent that an additional and much larger airport would be needed. 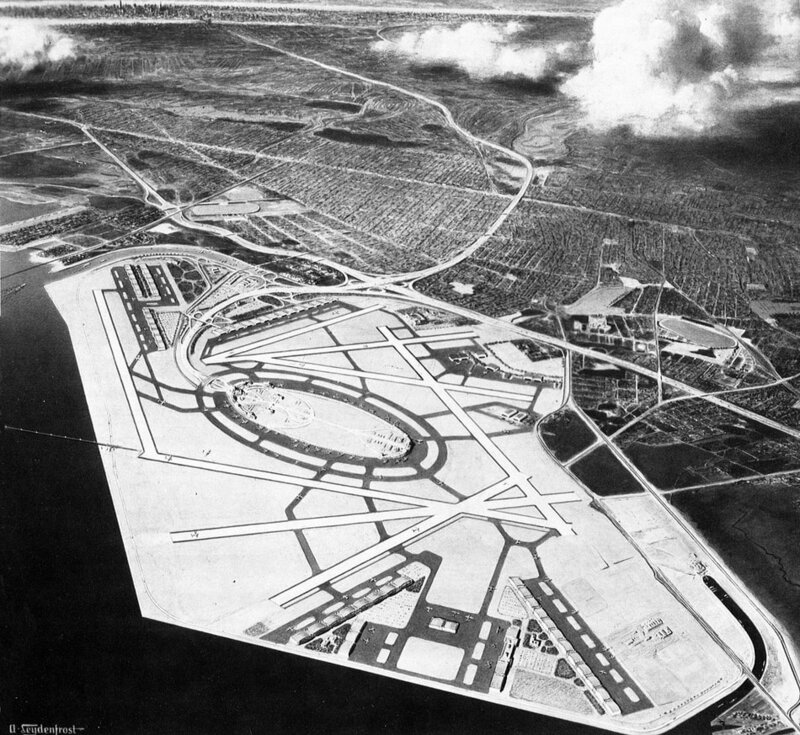 ​​After the commercial failure of Floyd Bennett Field, city leaders--in particular Mayor Fiorella La Guardia--worked hard in the late 1930s to push through the construction of a huge new airport. This time, the chosen location was on the previous site of the old, small Glenn Curtis Airport at North Beach, situated on the north shore of Queens on Flushing Bay. Manhattan was only five miles (eight kilometers) away, with a new highway providing quick access. The site also provided unobstructed water approaches for flying boats, which were commonly used on international routes in the interwar period. Heavy landfill was used to create the 558-acre (226-hectare) airport. It was one of the largest public works projects of its time. 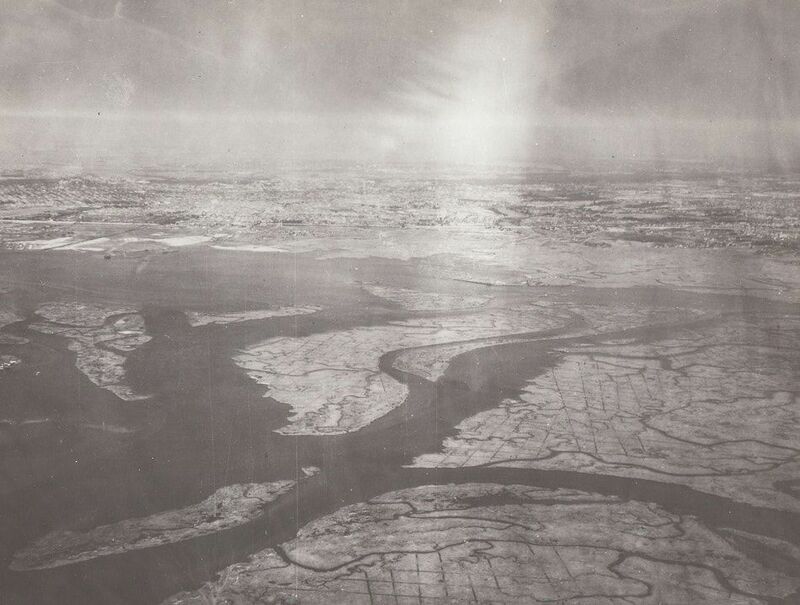 In 1941, after carefully considering its options, the City of New York--again led by its aviation-minded mayor Fiorella La Guardia--selected a marshy swampland on the south shore of Queens bordering Jamaica Bayas the site for its new airport. A mammoth-sized airport of 5,000 acres (2,023 hectares) was foreseen ten times the size of LaGuardia Airport. Thanks to the mayor, 4,527 acres (1,832 hectares) were secured. Aviation was not new to the area; a small airfield called Jamaica Sea Airport was located there. The area was then known as 'Idlewild', named after a well-known golf course in the area. The golf course and all of the surrounding land were purchased by the city, and although the course was soon gone, the area continued to be known simply as Idlewild. ​The site's main advantage was that the amount of space available for the new airport was vast, and most of the air traffic could approach and depart the airport over water, thus keeping the noise down in surrounding communities. However, it would have to be a huge landfill project. In order to avoid the accessibility issue to Manhattan that Floyd Bennett Field faced, from the very outset there was a plan to build a new highway to link the new airport to the Long Island Expressway and Queens Midtown Tunnel. 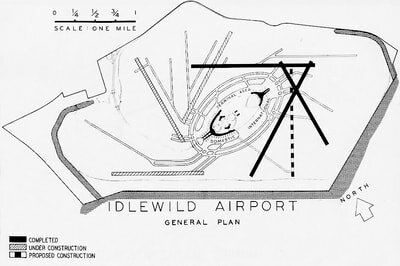 In 1943, the first proposal for Idlewild’s layout was put forward. 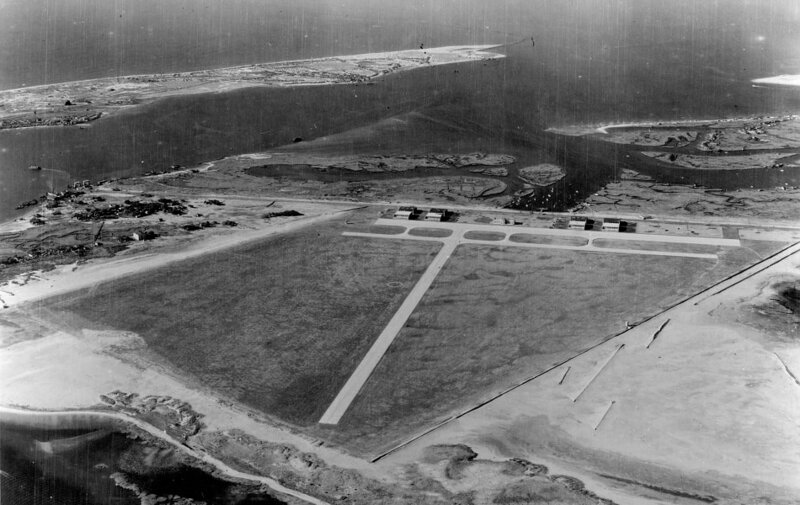 The plan included four pairs of runways, varying in length from 6,800 feet (2,073 meters) to 10,000 feet (3,048 meters). The runways would be able to handle the heaviest aircraft of the time. ​Prepared by Delano & Aldrich, the architects of the terminals at LaGuardia, the design included a terminal complex resembling that of LaGuardia, a large maintenance area and a marine air terminal. ​The airport was expected to be ready for partial use by the end of 1944. At the time it was thought that the total cost of the airport would be USD 200 million compared to USD 42 million that was used for LaGuardia Airport. There were numerous objections raised to the plan. The airlines pointed out that due to the development of long-range, land-based aircraft and runways derived from World War II, the days of flying boats were numbered. Hence, only a terminal for land planes would be necessary. In addition, more and longer runways were necessary to accommodate the new generation of heavy and high-performance piston aircraft. Consequently, the site was quintupled in size from 1,100 acres (445 hectares) to 4,930 acres (1,995 hectares). American Airlines suggested a tangential runway system with 10,000-foot (3,048-meter) and 6,000-foot (1,829-meter) runways, surrounding a central terminal served by an underground railway. It was anticipated that there would always be five take-off and five landing runways, more or less into the wind. 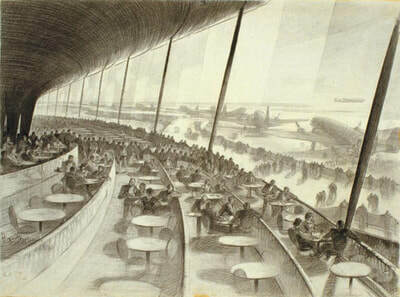 The concept of a central terminal was considered to be most convenient, as aircraft taxi distances to and from the runways would be as short as possible. Thus, the idea of a central terminal was permanently adopted. 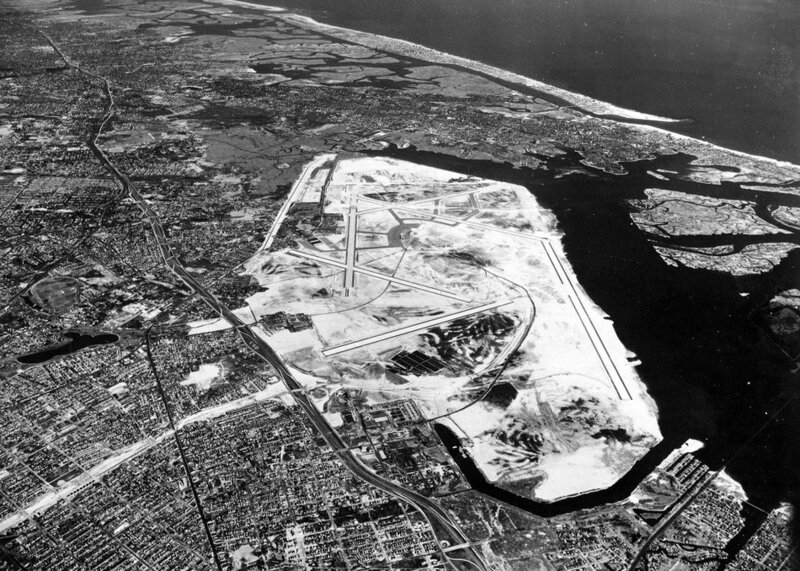 ​In 1944, the plan was modified to a final layout of 12 runways of varying lengths and a central terminal building with seven piers. What's more it would served by automobile instead of a railway. 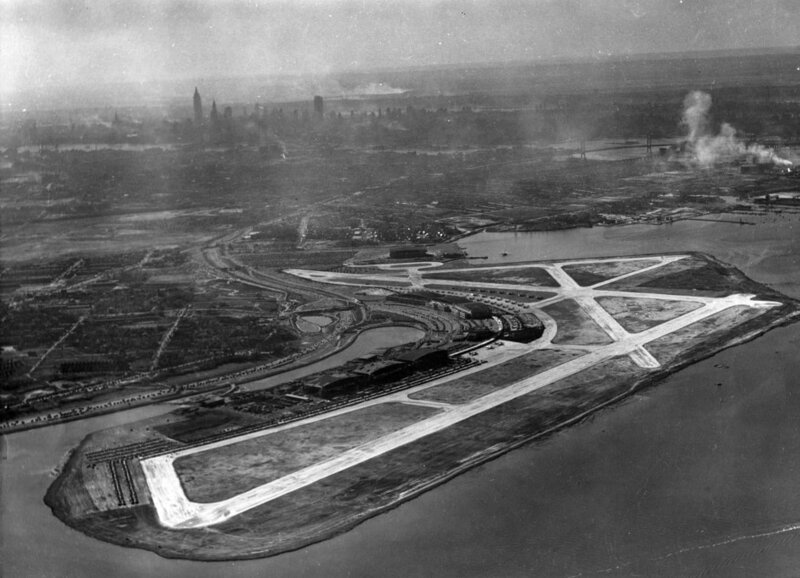 At the time, three runways were expected to be in use by early 1945. 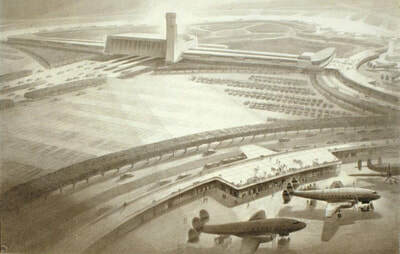 In 1946, the city presented the design for the airport's central terminal. 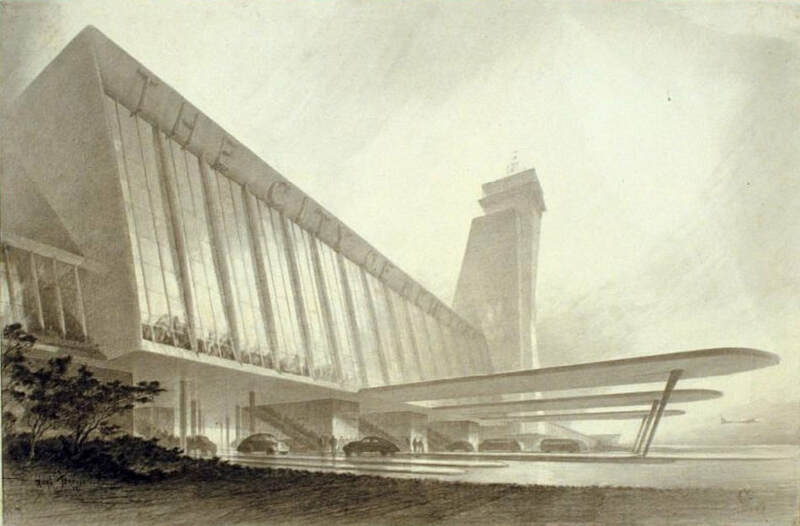 The scheme, designed by architecture firm Harrison & Abramovitz, called for a grand and impressive central administration and terminal building topped by a control tower with an undulating concourse arranged around it, providing a total of 86 gates. The USD 70 million budget for the design, which came on top of the USD 60 million already spent on preparing the site, was more than the City could bear. ​Therefore a 50-year lease for both Idlewild and LaGuardia airports was agreed with the Port of New York Authority (later to be renamed the Port Authority of New York and New Jersey), which took over their operations in 1947. The Port Authority put forward its own proposals for Idlewild's development. The number of runways was brought back from 12 to eight. 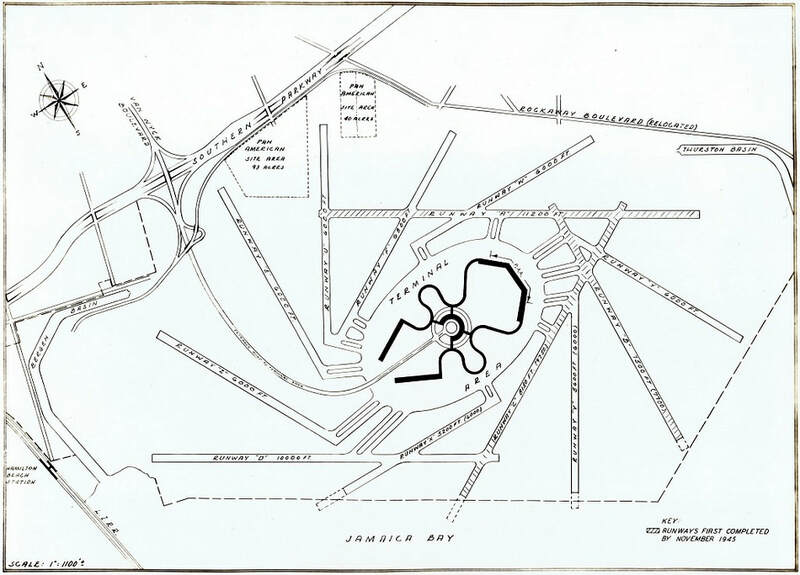 For the terminal, it proposed two horseshoe-shaped terminals at opposite ends of the central terminal area, one with 30 gates for domestic flights and the other with 12 international gates. However, this scheme was also shelved. For the airport’s first phase, six runways would be built, as well as a cargo building, two hangars and 70 miles (113 kilometers) of storm sewers. Initially, the airport was expected to start operations soon after the war. By August 1945, 12 airlines had signed leases, expecting the airport to open for preliminary operation in September. 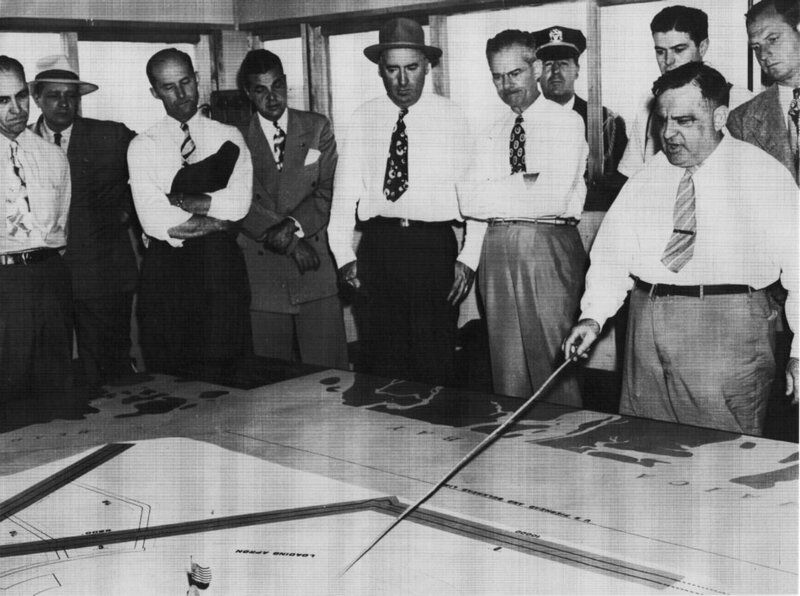 However, due to financing issues, union disputes, arguments over rents charged to airlines and problems with the access roads, completion of Idlewild airport was delayed by almost three years, until the summer of 1948. 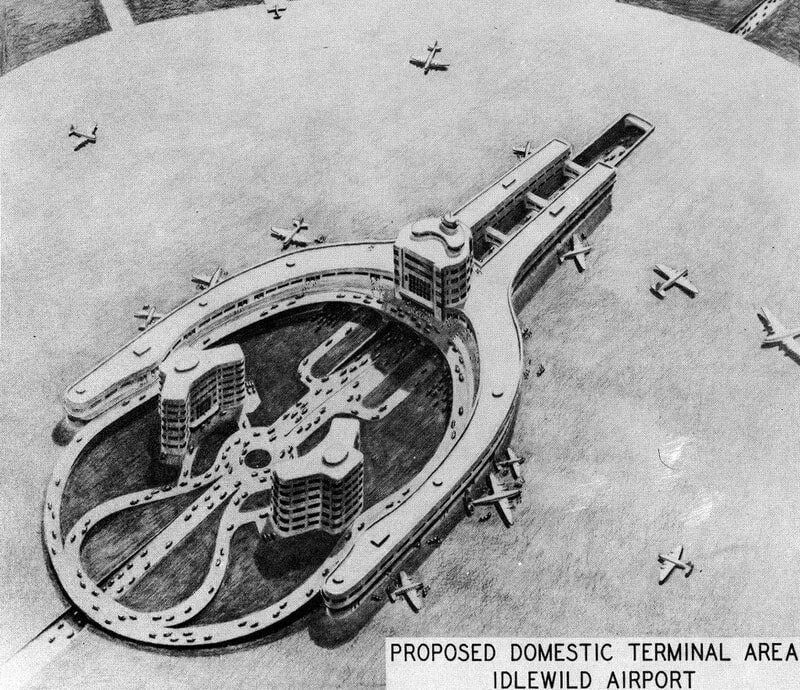 ​Completion of Idlewild Airport was delayed by almost three years, until the summer of 1948. As the airport was nearing completion, in March 1948, the New York City Council decided to name the airport Major General Alex Anderson Airport, in honour of a New York World War II hero. 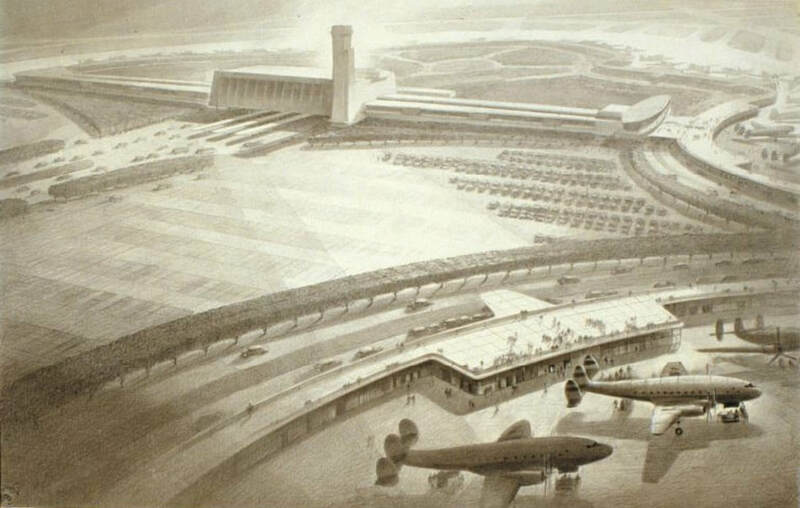 However, Mayor La Guardia and his aides always referred to it as the 'Municipal Airport at Idlewild', as opposed to the very similar 'New York Municipal Airport' which later was renamed as New York LaGuardia Airport. When the airport opened, it was officially named New York International Airport. 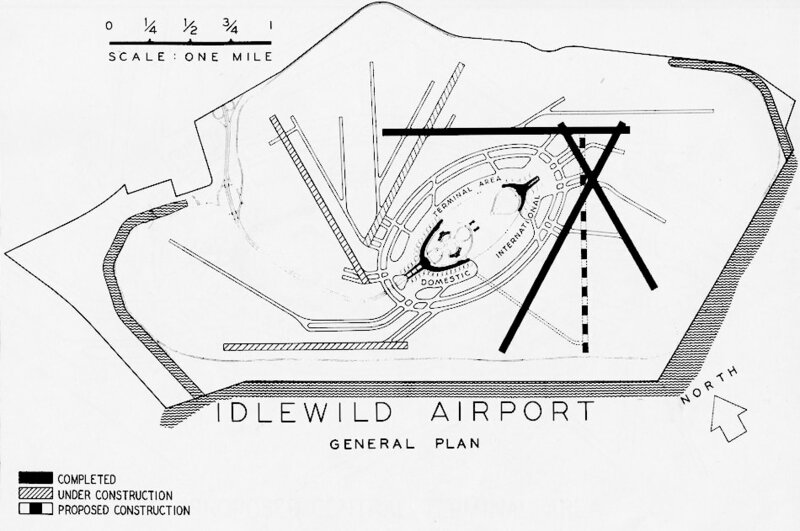 To the press and public however, in the airport's first decades it was never called anything but Idlewild. To avoid confusion, going forward we will use the Idlewild name until the official name change to John F. Kennedy International Airport later on in its history. This concludes our Part 1 of the history of John F. Kennedy Airport. Curious how things turned out? Click here to read all about the opening and early years of Idlewild's operation and growth. Did you fly through Idlewild in the early years? Or do you have some other interesting information related to the airport's history or development? Share your memories below! ​I want to say a special thanks to Joshua Stoff, curator of the wonderful Cradle of Aviation Museum in Garden City, New York. Josh and his team supplied many of the photos for the JFK articles. Thanks also to Edward Crellin and George Hamlin for the use of their images. For the Kennedy Airport articles, I consulted various books and magazines from my personal collection (see sources section below). However, I want to give a special mention to three wonderful publications. - Great airports. Kennedy International, written by Geoffrey Arend of Air Cargo News Inc. Copies occasionally appear on Amazon and ebay. Quite pricey but worth the money!